I am not a very good cook, or should I say a confident cook! I tend to cook the same thing week and in week out, and to be honest I find food very dull and uninspiring; this probably thanks to my own laziness! I should be a reasonably good cook as I undertook food technology whilst at school and gained the highest possible marks! I have even had some expert cookery lessons thanks to BBC Radio Leicester. I was invited onto their show and shown how to cook in a live 3 hour cookery special dubbed Kimberley's Kitchen! 2. Melt the butter in a large pan - this will need to hold all of the stock, wine and rice. 3. Add the onions into the pan and fry until soft. 4. 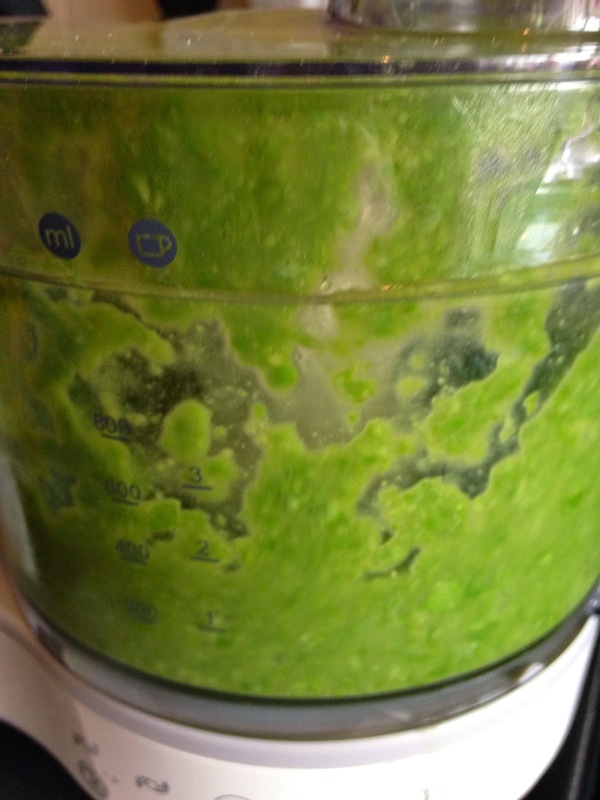 Whilst the onions are cooking put 100g of peas into a food processor with a couple of spoons of vegetable stock and whizz until it forms a puree. 5. 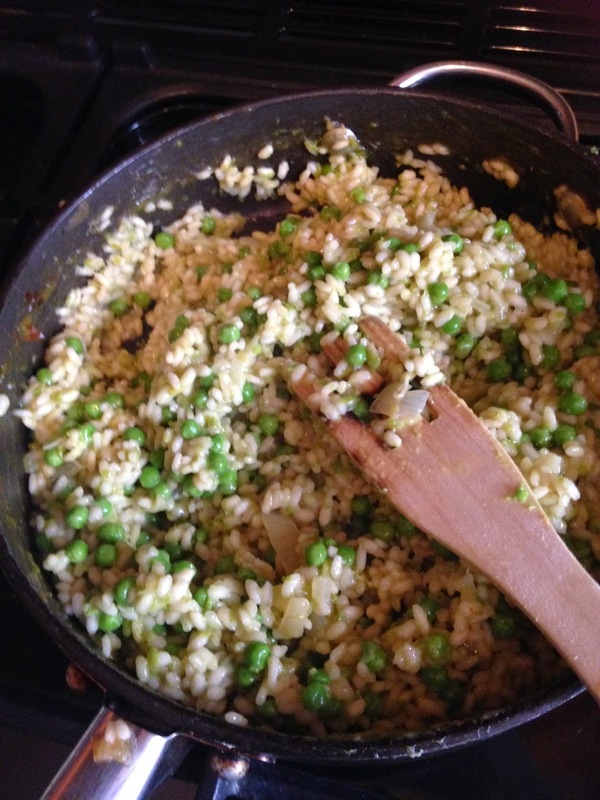 Once the onions are cooked, add the rice to the pan and ensuring that the rice is stirred constantly. 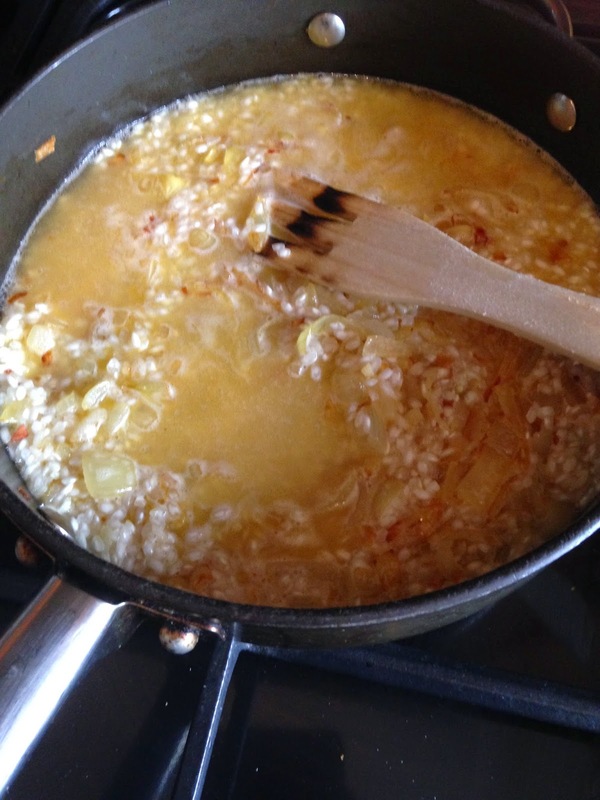 Once the rice has absorbed the melted butter, add the wine. 6. When the wine has been absorbed by the rice, add the stock one spoon full at a time, and keep stirring the rice until its absorbed all of the vegetable stock, this can take 20-30 minutes dependent on the cooking time of the rice. 7. 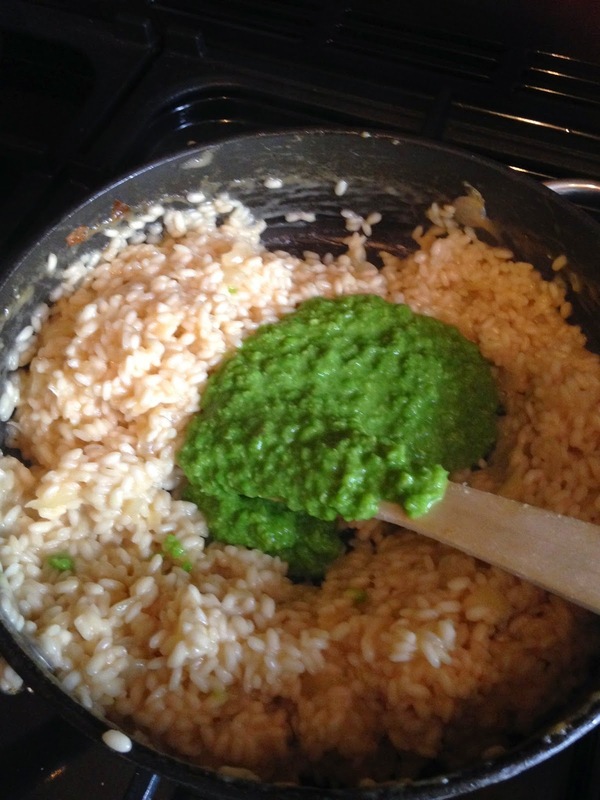 Once the rice has absorbed all the vegetable stock it should start to turn into a creamy consistency. At this point stir in the pureed peas, remaining unblended peas, parmesan cheese and seasoning. 8. Remove the pan from the heat and leave to stand for a couple of minutes before stirring again, and then its ready to serve! 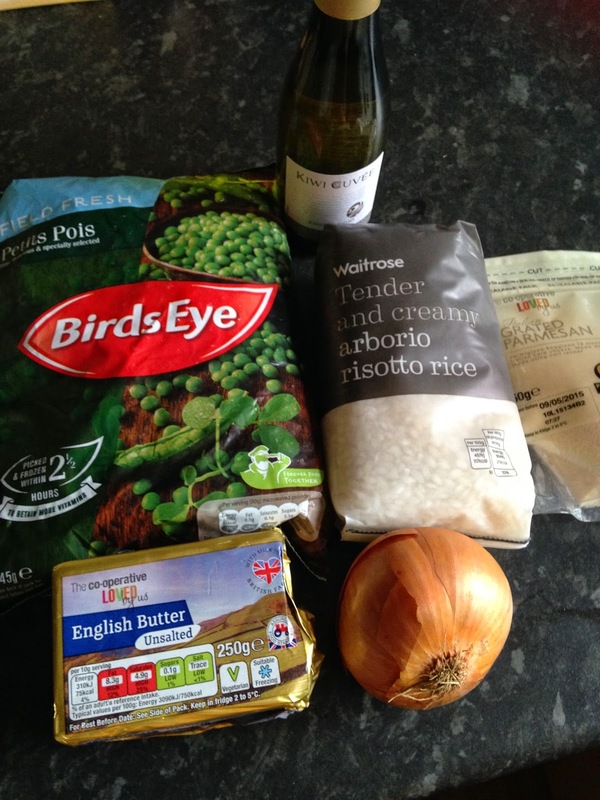 Risotto is my go to comfort food at the moment! You can always change the peas for something else to make different flavours. I hope you enjoy!